Is cheating rewarded in America? YOU BETCHA! Whether one cheats at cards, on their taxes, when playing sports or on a test, we’ve all done it. And if you deny it, you’re a liar too. By now, you all know about “Deflategate” and the Patriots playing the 2015 AFC Championship game with deflated balls. The NFL’s investigation has been underway for a few weeks now. Numerous people have been interviewed by league investigators. Numerous people, with the exception of New England Patriots’ quarterback Tom Brady and head coach Bill Belicheck, the two people whose testimony is most important to this scandal – a scandal so depraved it has offended the core moral sensibilities of the self-righteous, rule following, law abiding American football fan. At this point it’s obvious someone with sway at the league’s Manhattan offices “suggested” the interviewing of Brady and Belicheck be delayed until after Super Bowl XLIX – delayed for the good of the game, the good of the league, to maintain the high ethics of a $9 billion not-for-profit business, insure the purity of league competition and to allow these two the ability to prepare for the big game without the distraction of their balls being soft. Let’s face it. The storyline was so good. It’s almost as if the WWE’s Vince McMahon wrote the script himself! The league’s ultimate bad guys, Brady and Belicheck, cheating their way to another championship trophy. You’re probably wondering how NBC’s ratings were for the big game. Super Bowl XLIX will go down as the most watched Super Bowl in history. And at $4.5 million for a :30 second commercial, RECORD ratings mean they’ll probably charge north of $5 million for a spot in the Super Bowl L (that’s 50) broadcast next February. In Boston, for example, the game had a 89 share, which means 89% of the televisions in use in the Boston market were tuned to the NBC station during the game. What were the other 11% watching? Bar Rescue? I know, you’re thinking, well that’s the team’s home market. OK.
What about Buffalo? The game had a 75 share. 75% of all flatscreens on during the game were tuned to the NBC station, WGRZ. Nationally? The game had a 72 share. 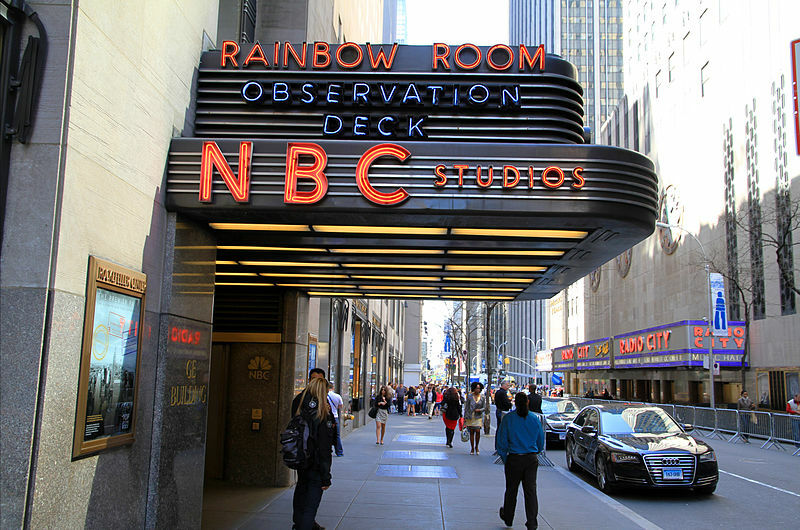 72% of ALL televisions in America were watching an NBC station. Well over 100 million people watched the game, with the most people watching between 10pm and 10:15pm. Tweets? Over 28 million. Facebook? 265 million posts, comments and likes. This was a great storyline about the league’s worst “heels” (wrestling speak for bad guys) cheating, a storyline that was also very good for the NFL’s business. Very, very good. Spygate? Done. Deflategate? Done. 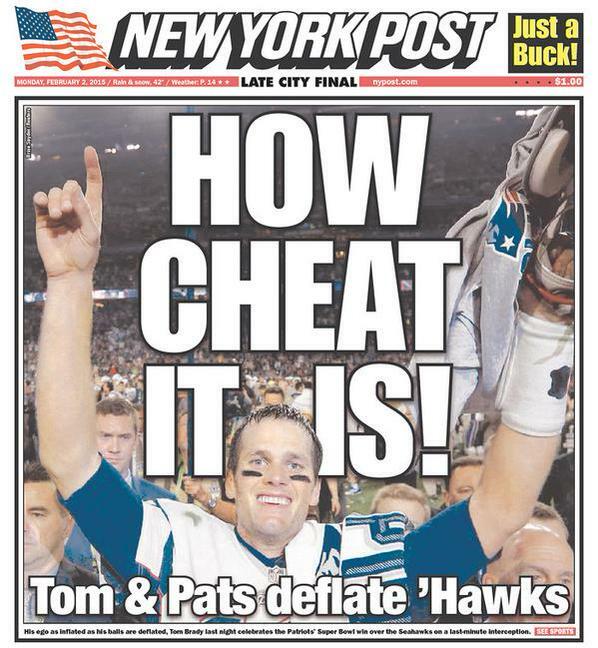 How will the New England Patriots cheat next season? That in itself is a great storyline to get a football fan through the next 5 months until training camp starts up again. I have proposed to NFL Commish Roger Goodell that in the future the NFL partner with the WWE and start calling the game “SuperMania.” I’m guessing he’ll refuse to speak with me just like he (in a cowardly move) refused to speak with NBC on Sunday. We all know about that questionable interference penalty where the referee’s flag was picked up and the catch that wasn’t a really a catch in this year’s NFL play-offs. Considering the Super Bowl was a pick ’em with some bookies in Vegas, does anyone else find it odd Pete Carroll, considered one of the most brilliant football coaches ever, would make the biggest bone-head play call in sports history on sport’s biggest stage? So the Patriots make a better “heel” than the Seahawks make a “face?” That’s why the pass rather than the obvious run? But didn’t the NCAA give JoePa his wins back? Moral hazard in decaying America–and it expects to outlast Russia?